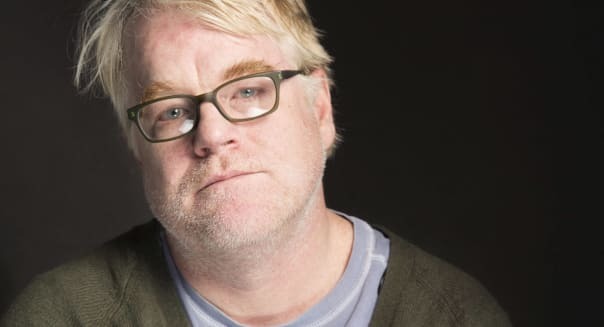 The tragic death of actor Philip Seymour Hoffman has shaken the entertainment world; the state of his $35 million estate should shake the world of personal finance. The 46-year-old actor executed his will in late 2004, with a trust providing for his oldest child and leaving the rest of his estimated $35 million estate to Mimi O'Donnell, his longtime partner and the mother of their children. Yet because of decisions that Hoffman and his family made, estate taxes at the federal and state level could easily amount to more than 40 percent of Hoffman's overall net worth. Most people aren't nearly as wealthy as Hoffman was. But there are still important lessons to learn from the issues Hoffman's family will face -- ones that can help you avoid costly mistakes in your own estate planning. The most costly issue with large estates involves marital status. Because Hoffman and O'Donnell weren't married, O'Donnell's bequest won't qualify for the unlimited marital deduction under the estate-tax laws. Although Hoffman will get the benefit of a $5.34 million estate-tax exemption, the remainder of roughly $30 million will be subject to tax rates of 40 percent. If Hoffman and O'Donnell had been married, about $12 million more would have ended up in the hands of O'Donnell and their family rather than going to the IRS. Similar issues will affect the amount that the Hoffman estate will owe for New York estate taxes. Even if you're not wealthy, estate-planning laws make things much easier for married couples than for unmarried ones. Most state laws provide for a spouse to receive all or part of your estate after you die even if you never execute a valid will. But if you die without a will and aren't married, then your estate will generally go to your children or parents, potentially leaving a longtime companion without the financial support you might have intended. Obviously, a decision to marry involves more than just tax and estate-planning considerations, but it's worth taking them into account in making decisions about your family's financial future. Another thing Hoffman failed to do was update his estate-planning documents. He and O'Donnell had a son at the time he signed his will, but they later had two daughters. Because he didn't update his will to specifically mention the girls, it's unclear whether all three will be treated equally without extra effort from O'Donnell to even the playing field. Various estate-planning laws can help protect family members who weren't included in older wills, including children who weren't yet born or spouses who weren't married until after an old will was created. Still, whenever a major life event occurs, such as a marriage, birth, divorce or death, it's much smarter to make deliberate adjustments to your estate planning to ensure your documents incorporate your latest wishes. Otherwise, the consequences can be extremely unpredictable. Finally, Hoffman put his family through an unnecessary public ordeal by not using trusts more extensively. In most cases involving people with extensive estates, the use of revocable trusts avoids having details of an estate plan released to the general public. %VIRTUAL-article-sponsoredlinks%Most people draft a simple will directing that all assets not already within the trust be put there after death, so that if someone forgets to transfer all of their property into the trust, it won't go uncovered. Provisions of the trust itself, however, can remain private under those circumstances, protecting family members from having to endure awkward questions from the general public about the implications of specific will provisions. Few people have assets as extensive as Hoffman had, and it's easy to imagine that estate planning is something those of more modest means don't need to worry about. But Hoffman's choices show that it's easy to create estate-planning problems without intending do. The best move is to anticipate potential problems and address them at the easiest possible time: while you're still alive to do something about them. Most parents want to leave their kids with a safety net. And for some, that net could be several million (or billion) dollars strong. But a growing number of rich-and-famous parents, afraid inherited wealth could damage their children, are planning to give most of their fortunes away to charity instead. Click through our gallery to see which 10 famous names are trying to teach their children the ultimate lesson on the value of money and hard work. Sir Andrew Lloyd Webber doesn't believe in spoiling his kids. The Brit, who gained fame and fortune from such hits as Phantom of the Opera and Cats, has said his five kids from two different wives shouldn't expect much of a free ride. "I am not in favor of children suddenly finding a lot of money coming their way because then they have no incentive to work," Webber, who is estimated to be worth some $1 billion, told the Mirror on Oct. 6. "So I will give them a start in life but they ain't going to end up owning [his company] the Really Useful Group." Earlier this year, the domestic goddess declared she did not plan to leave her two children from her first husband, deceased journalist John Diamond, with much of her cookbook and TV show fortune. Lawson, an heiress to J. Lyons and Co. food empire in England and wife of super wealthy ad guy Charles Saatchi, told 'My Weekly' that she was "determined that my children should have no financial security. It ruins people not having to earn money." After the ensuing outcry, she added she "had no intention of leaving my children destitute, but I believe you have to work in order to learn the value of money." Warren Buffett may currently be #2 of the Forbes 400 Richest Americans, but don't congratulate his three children. The savvy investor, who built Berkshire Hathaway into a multi-billion dollar juggernaut, has promised to give away most of his fortune because, he has said, "a rich person should leave his kids enough to do anything but not enough to do nothing." In fact, the Omaha, Nebraska native has already started. In 2006, he promised a majority of his Berkshire shares to charity, with a good chunk going to the foundation of good pal Bill Gates. The Bill & Melinda Gates Foundation has received $6 billion worth of shares to date. Bill Gates has also promised to give away most of his Microsoft billions. He and wife Melinda established a foundation in 1994 and have been giving away truckloads of money ever since. On Oct. 5, Gates told CNN that he thinks inherited wealth creates a distorted view of "how you measure yourself, how your friends think about you and how they do things with you. And it's also bad for society. We're picking the grandchildren of the people whose skill and luck accumulated the money and saying to them, they should have this vast control of society's resources. I just don't think that's a great way to run a society. " Paris Hilton's grandfather, hotel magnate William Barron Hilton, made headlines when he announced in late 2007 that he had bequeathed nearly all of his $2.3 billion fortune to a foundation started by his father, Conrad. "My father left 97% of his wealth to the Conrad N. Hilton Foundation, and I am proud to follow my father's example," he said. Of course, he didn't mention that about 20 years earlier, he sued his father's estate after being left only a small portion. Years of legal wrangling ensued, but he ultimately scored 60% of the income from his father's estate for life, with the other 40% going to the foundation. Anita Roddick's two daughters knew since they were teenagers that their mom wanted to give away her Body Shop fortune to charity. So when she died at the age of 64 in 2007, some $76 million flowed into the Roddick Foundation. Said daugher Sam, "If my mum had said to me, 'I'm not leaving the money to you but I've decided to give it all to a distant cousin,' then I would have found that offensive. But giving it all to charity is different. You can't argue about someone giving their money away, can you?" She added, "They've already given us everything in terms of love and support." When the real estate mogul died in August 2007 at the age of 87, she bequeathed two of her grandchildren $10 million each as long as they visited their father's grave at least once a year. The other two grandchildren were disinherited "for reasons which are known to them." But the bulk of her estate went to the dogs, literally. Her will established a $12 million trust for the care of her dog, Trouble, and the rest, estimated to be worth nearly $8 billion, went to the Leona M. and Harry B. Helmsley Charitable Trust, whose sole aim is the care of dogs. Gene Simmons of the rock group Kiss doesn't want his two kids to end up like a lot of rock 'n roll progeny: broke with no idea how to support themselves. So he's cutting them off -- sort of. In 2007, he said his children with longtime partner Shannon Tweed "are gonna be taken care of, but they will never be rich off my money. Because every year they should be forced to get up out of bed and go out and work and make their own way." How's he going to do it? They'll receive a yearly allowance covering basics like rent and food but "if you want riches, you should do that yourself." When Jolie and Pitt scored $14 million for pictures of their twins, they placed the money into their Jolie-Pitt Foundation. Just two years ago, when their first biological child, Shiloh, was born, they were paid more than $7 million, which also went to charity. It's not clear how much she and Pitt will leave their children, but meanwhile, they are busy giving away their fortunes. In 2006, Jolie donated more than $3 million and Pitt over $4 million to the Jolie-Pitt Foundation. She also established in 2008 a TB/AIDS clinic in Ethiopia, where her eldest daughter, Zahara, was born. She has said she hopes Zahara will manage it one day. The steel magnate has been dead for nearly 90 years but his legacy lives on. Perhaps his most lasting and influential contribution has been his belief that after you've accumulated your fortune, you must give it away rather than leaving it to your descendents. He certainly lived by what he wrote in The Gospel of Wealth: By the time he died in 1919, he had given away billions of dollars to build thousands of public libraries, Carnegie Mellon University, Carnegie Hall in New York City, and a pension fund for workers now known as TIAA-CREF. For his family, he left behind a modest trust. Now that you've seen which 10 celebrities are leaving most of their fortunes to charity, see how ordinary folks like you try to keep their dough safe by hiding it from thieves, loved ones and even themselves.